This year I was privileged to be given the role as Commodore. I have a team of elected Flag officers and members of the management committee to help me run all the sections of the club. 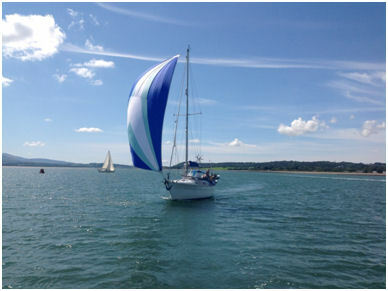 We have over a 100 yachts in our membership in a variety of sizes and they are spread mainly around the bay in Beaumaris and the Menai Straits but also in Conwy, Y Felinli and Victoria Dock. New members are always welcome to come on weekends to gain experience about the locations we visit and our RYA Training courses go on throughout the year and a new programme of short brush-up courses along with other courses are being planned for the coming months by our Training Officer Richard Forder. Don't hesitate to contact him with any requests and look out on our web site for training course notifications. Marie the Sailing Captain and her team have been very busy putting together a comprehensive sailing programme for this year. Website and Email updates will be given to notify members of any changes to the Social and Sailing programmes. The club house has been refurbished and is now a smart and useful base with excellent shower and washing facilities. The clubhouse also has a large social room where we have lectures, meetings and social activities. Our Aims and Objectives remain the same as when the club was established in 1961 - to promote activity in cruising both locally and afar. Obviously the local cruising in company is done most weekends in and around Anglesey which has stunning bays and secluded anchorages where we have beach BBQ's. 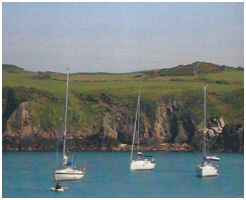 A comprehensive list of weekend cruising activities is published on this web site by our Sailing Captain. Summer cruises are also organised to go further afield.